You have a team of spirit guides waiting to support you. The only catch is that they cannot fully connect to you and help you, unless you allow it. Carefully chosen and recruited just for you, spirit guides are beings that are completely devoted to your growth. Many have had lifetimes here on earth and just like you they have their own eclectic bundle of gifts, wisdom, and experiences. Perfectly suited to your highest calling, their only job is to support you and guide you as much or as little as you wish. In my client sessions, I have found that most people have approximately six guides in their inner circle, calling in new ones, as they need them. Our spirit guides can guide us with anything from finding a car park to healing a broken heart, from experiencing more joy to finding the right job, from meeting your future partner to getting through your darkest hour, from finding the courage to step into your highest calling to letting go of the past. No request is too big or too small, too specific or too broad. But because we live in a world of free will, in order for them to step in, first we must ask. When I started working with my spirit guides I spent a long time waiting for them to appear in black and white before I took them seriously. I wanted a personal relationship, to see and feel them like I would a friend or family member. I wanted to know their age, their background, their personality, and hair color. I wanted them to pop over for dinner and share a bottle of red. should I see them or hear them, should I receive their guidance in my minds eye or through another person), the more my relationship with my guides deepened. Let go of how your mind thinks they should be and open yourself up to receiving their guidance in ways beyond your expectations. Our spirit guides are always at the ready to connect with us, however tuning into their frequency is sometimes not as easy as switching on the TV (at least not at first). 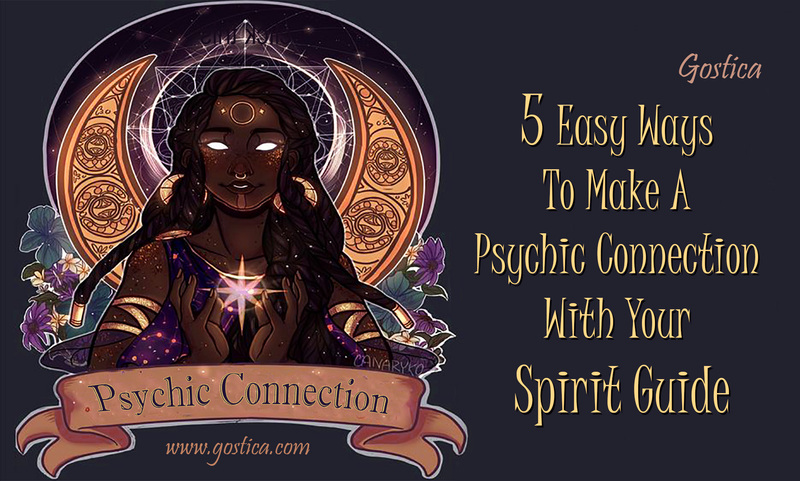 Putting dedicated time aside by doing a meditation or spirit guides attunement like this one is a great way to make initial connection with your guides. Find yourself a small special box for you to communicate with your spirit guides. On a small piece of paper, write down a question or something specific that you would like their help with. Fold the piece of paper up and put it in the box. Pick a particular object that you want to receive as a way of communicating with your guides. It could be anything from a symbol like a star or a red rose. The first time I did this I chose a peach feather. Recommended: Is Your Psychic Development “Stuck”? 6 Ways to Unblock Yourself! Within 60 minutes I found a peach feather on waiting for me on my front door. could you please send me another 6 sign?